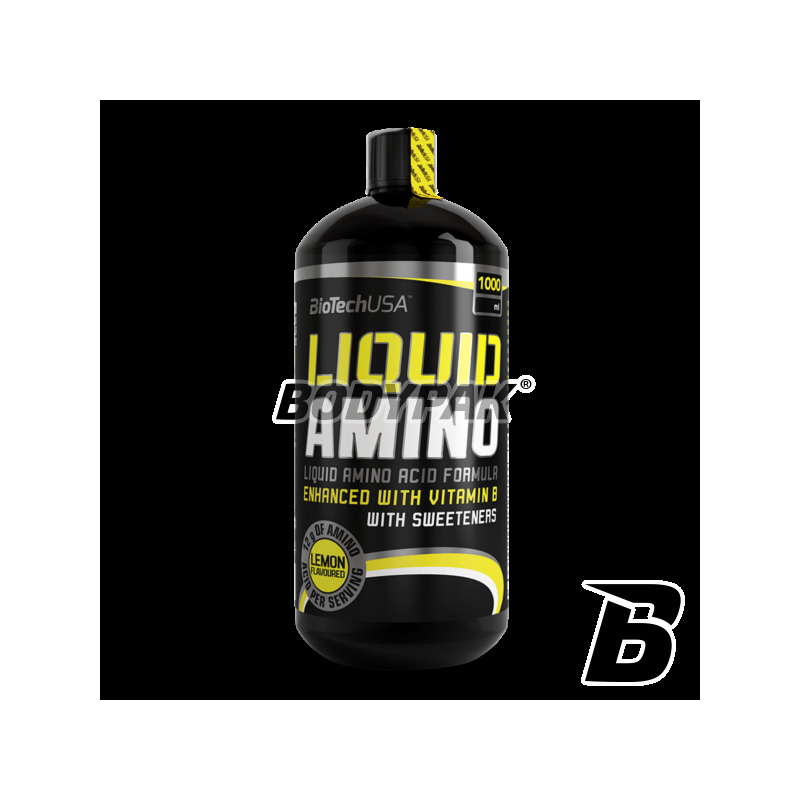 BioTech Liquid Amino the amino acid product in liquid! Requires no preparation, just shake and you can immediately go to eat! Perfectly suited to the area of ​​training. Interesting taste and ease of supplementation are certainly features that you'll love! A single serving of BioTech Liquid Amino provide up to 7500mg pure amino acids derived from both the hydrolysed collagen, or whey protein hydrolyzate. Like all BioTech USA products, contains safe, carefully selected ingredients. This advanced set of amino acids in the liquid was created using the branched chain amino acids (BCAA) and free and peptides. 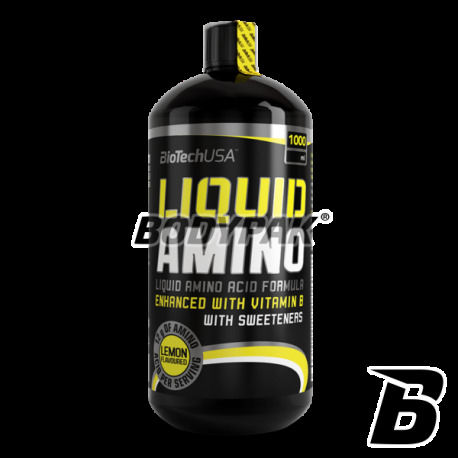 BioTech Liquid Amino contains all the necessary exogenous and endogenous amino acids. Furthermore, BioTech Liquid Amino also contains vitamins B6 and B12, helping to reduce fatigue and fatigue. Vitamin B6 contributes to the normal metabolism of protein and glycogen. Ingredients: water, AminoFactor (hydrolysed collagen, hydrolysed whey, BCAA 2: 1: 1: l-leucine, l-isoleucine, l- valine), arginine alpha-ketoglutarate, maltodextrin, acidity regulator: citric acid, preservatives Sorbic acid, sodium benzoate), aroma, sweetener (acesulfame K, sucralose), pyridoxine hydrochloride, dyes (sunset yellow FCF, Tartrazine) *, cyanocobalamin. * May cause disturbed activity and concentration in children. Ciekawa propozycja na tle konkurencji. Spokojnie można kupić i stosować - działa, a raczej dostarcza tego co trzeba w łatwej i przyjemnej do suplementacji formie. Kompleks aminokwasów w płynie - świetne rozwiązanie jako uzupełnienie w ciągu dnia i po treningu. Lepsza regeneracja znacznie odczuwalna, widoczne przyrosty masy mięśniowej !